Need to set the party mood? 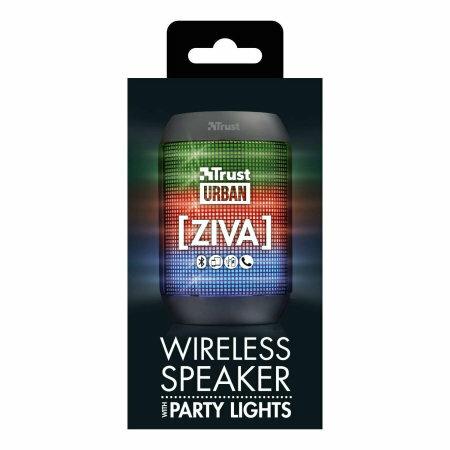 Then the Trust Wireless Bluetooth Speaker Ziva lights is the one for you! 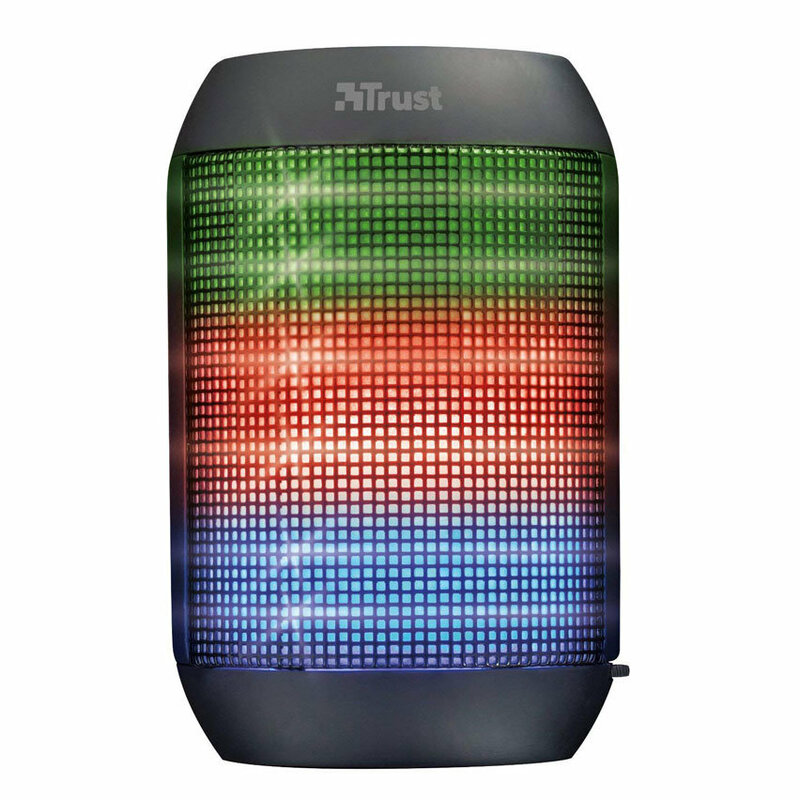 Connect your smartphone, tablet or MP3 player to play your favourite music, and watch the lights dance around! Illuminate your room with the classic glowing colours from the Ziva party speaker while playing your favourite tunes. 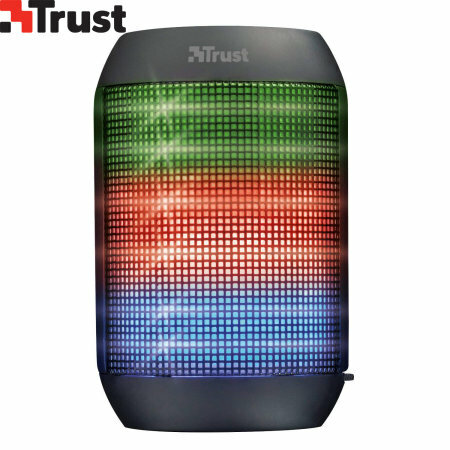 This wireless Bluetooth speaker is fitted with an integrated light show which is compatible with smartphones and tablets, so there is no need to waste time searching for the perfect light show, you can just use the functions that are provided. 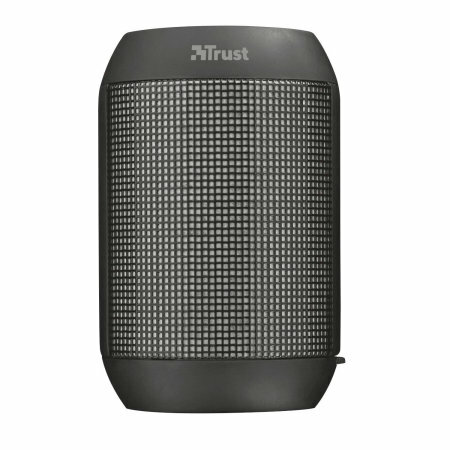 Additionally the Trust Ziva Bluetooth Speaker reacts and move to the beat of your music, for a truly unique light show. 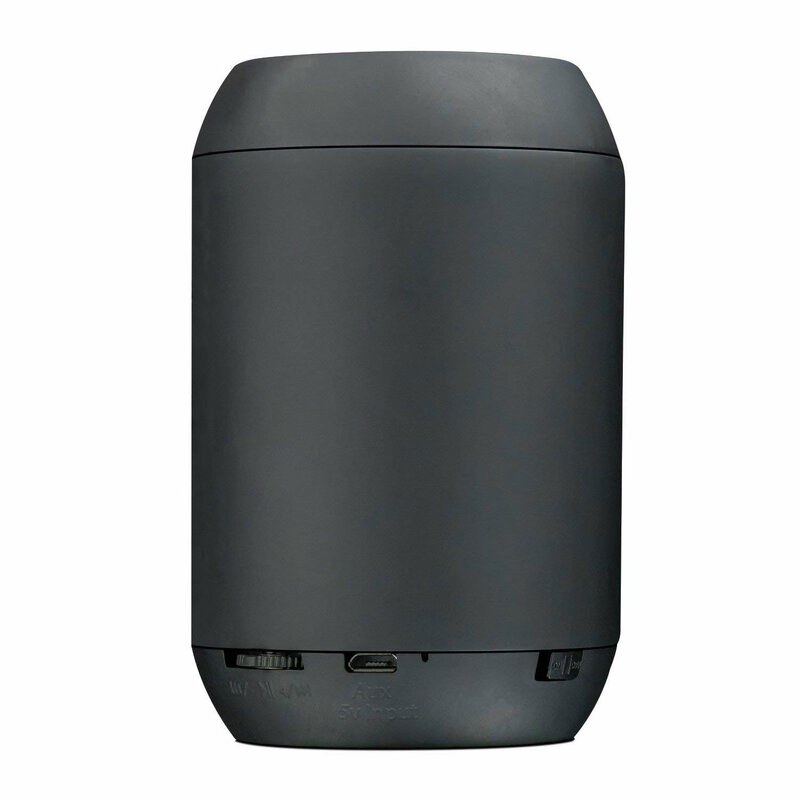 The Ziva wireless Bluetooth Speaker enabled, so the pairing process is incredibly simple - connecting to your device wirelessly with no need for passwords. It supports any Bluetooth music device and you only have to turn the speaker on and search for it using your device. This sound system however also includes a 3.5mm audio line-in cable to allow you to connect devices without Bluetooth technology such as iPods, laptops and MP3 players. 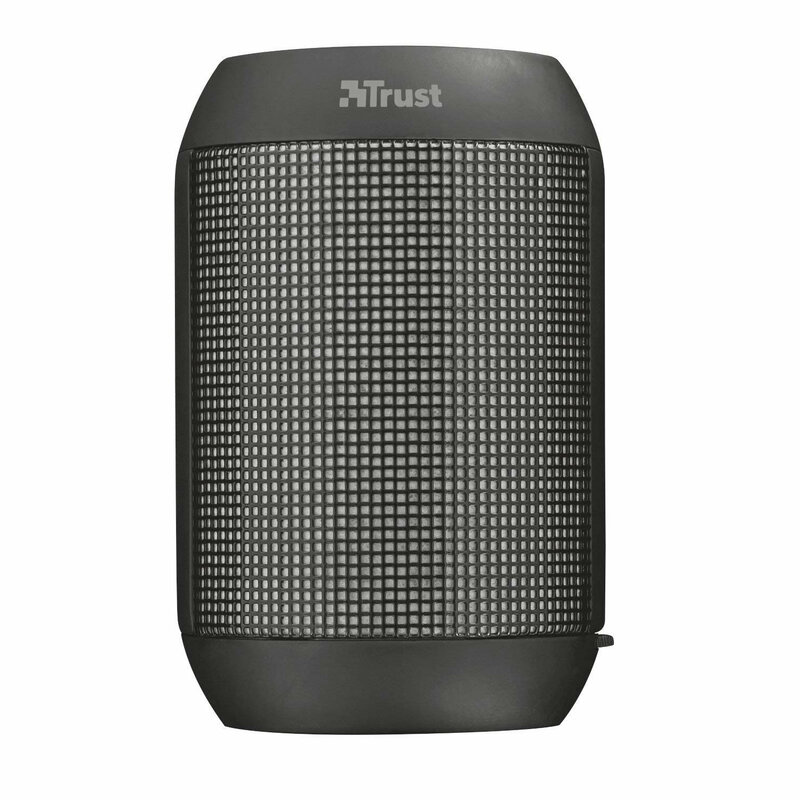 The Trust Ziva Bluetooth Speaker features a 50mm driver, providing a punchy sound that truly has to be heard to be believed. For convenience, the controls are located on the back of the speaker - so you can control your music from the Trust Ziva, whether you are using Bluetooth or the line-in port located around the back of the device. 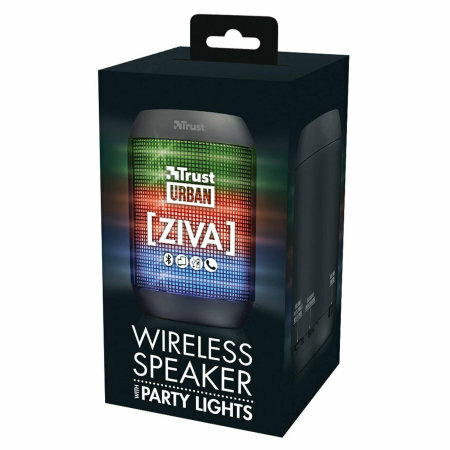 The Trust Ziva Party Lights Speaker features a built-in microphone. This is perfect if you're listening to music and you receive an incoming call, as it allows you to answer the phone and speak clearly. Particularly useful when performing a conference call or simply for personal use with video chat programs including Skype, Google Hangouts, FaceTime and more. With a built-in rechargeable li-ion battery, offering up to 6 hours of playback, you'll be able to party all night to your favourite songs! When the battery finally runs out of charge, simply connect the charging cable supplied and your speaker will be back up to full charge in no time.